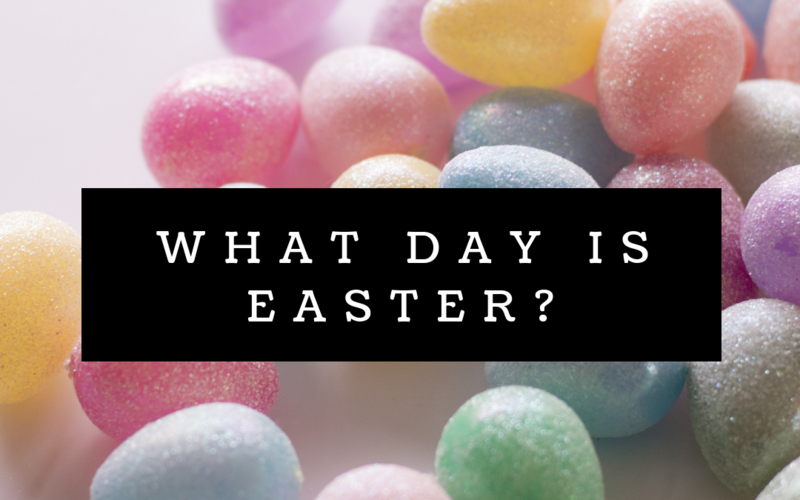 How did they decide on the day we celebrate Easter? It turns out that it is tied to the first full moon of Spring. That decision was made at the Council of Nicaea, which was called by the Roman Emperor Constantine. In this episode, we take a look at some of the considerations they had when choosing a day for Easter. Did it have to be on Sunday? Should it be tied to the Jewish celebration of Passover? Our special guest for this episode is Professor Gerald Bray. CS: Hey listeners. We’re nearing the end of our series on Constantine. And he’s going to help answer the question, how did we settle on the day of Easter? Maybe you’ve notice, it changes every year. Christmas is always on December 25, New Years on January 1st, and Independence Day on… well, you know. So, why does Easter float around? Here’s what we know from the start. Easter, as we celebrate it now, is always on a Sunday. It’s always in the spring. It has something to do with Passover, and it celebrates the day that Jesus rose from the dead. This was all decided at the Council of Nicaea in 325 AD. Which was called by Emperor Constantine. Okay, so in the Bible, Jesus enters Jerusalem during the week of Passover. Passover is a Jewish celebration, remembering story of Moses and the Exodus. The people of Israel are held captive by the Egyptians. So, to free the people, God sends a lot of nasty plagues on Egypt. One of those is that an angel would sweep through Egypt and kill the firstborn in each family. The family put the blood of a lamb above the door. Then the angel would… wait for it… pass over the household. Hence the name Passover. Jewish people celebrate this holiday every year according to the Hebrew calendar. Eating special food, reading the story, and coming together as a family. Right up until the time of Jesus. Jesus enters Jerusalem on a donkey right as Passover is kicking off. In the very center of the celebration. It’s the difference between watching the ball drop on New Years at home and being in Times Square. He’s at the center of the Passover party. But, By the end of the week he is wrongfully accused, nailed to a cross, and resurrected. So… one line of thought is, why not just celebrate Easter the same week as Passover? Natural choice right? Well… it’s not that easy. The date of Passover is set each year according to the Hebrew Calendar. The Hebrew calendar being the one used by Jewish people. Which, does not line up with ours, the Gregorian Calendar. Or the Roman calendar. So, for example, lets say that we choose March 22 as the day we’re going to celebrate Easter every year. This year it might coincide with Passover. Which is great. Except… next year it won’t. Because the Hebrew Calendar doesn’t exactly line up with ours. It’s about 19 days off, which is compensated for by adding an additional month every three years. So… it falls behind for three years and then catches up. Back to our example. If Easter is on March 22 this year to line up with Passover [yum sounds and family stuff]. When we all sit down together next year on March 22, it won’t line up with Passover. So, the job of the people at the Council of Nicaea was to decide how to make up for this discrepancy. They could always say that it should just float around with Passover. We figure out when Passover is, add a few days to get to the resurrection and voila! Except… that wouldn’t work either. Because the council members wanted Easter to occur on a Sunday. Every year. And the two calendars didn’t always line up. This year Easter would be on a Sunday and next year it could be on a Tuesday. A Tuesday! And nobody wants to celebrate on a Tuesday. Not to mention they wanted it to be on the Christian day of rest. Okay, so scrap the idea of following the floating passover. And they couldn’t just say it’d be on March 22 each year because next year March 22 could be a Wednesday. They needed a better plan. They decided to tie it to Sunday, which was a requirement. But it would be the first Sunday, stay with me, the first Sunday, after the first full moon of spring. The first Sunday after the first full moon of spring. Really, so many things are simpler. But they had their Sunday, and they had their floating date. Which is why, as you walk up to your wall calendar at work, lets just say a calendar of kitten in a basket of string, or dogs dressed for different occupations, you may just see Easter is not the same week as Passover. And now you can explain to your friends why, and tell them all about Constantine and the Council of Nicaea from 325. Truce is a listener supported podcast. You can find links to our Patreon account where you can set up regular donations at trucepodcast.com. Once there you can find links to our Twitter, Instagram, and Facebook accounts, sign up for our unobtrusive and informative email updates, see pictures and links, and learn about my novel Cradle Robber, and my movies Bringing up Bobby and Between the Walls. Both of which are now streaming on Amazon Prime. Head to iTunes to leave us a positive review, and please tell your friends. If you support intelligent discussions and quality journalism, let the world know. Thanks for listening.